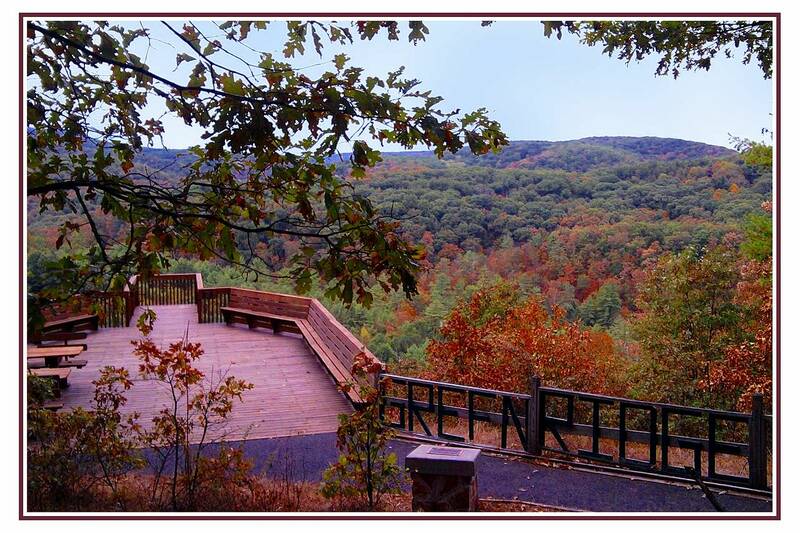 Trail users within Green Ridge State Forest are embraced by a 44,000-acre oak-hickory forest, the largest contiguous block of forest in Maryland and the only true landscape characterized as mountainous. Within the Ridge and Valley Province of the Allegheny Mountain chain, the trail system offers magnificent views of the surrounding landscape from Point Lookout, Banners, Logroll, Warrior Mountain, and No Name overlooks. The State Forest and Park Service offer a waterproof, full-color guide with descriptions and information about history, natural features, camping, fishing, hunting and other activities. A 24-mile linear trail serves as the spine of the Trail System, providing four separate day-hike options and overnight backpacking opportunities. Four Adirondack shelters have been placed along the trail at approximately eight-mile intervals. The Green ridge State Forest Trail System connects with the Mid-State Pennsylvania Trail and the Chesapeake and Ohio Canal Towpath, a segment of the Potomac Heritage National Scenic Trail, providing users with a 45-mile loop for backpacking. In this context, the trail system is connected physically and historically with other reforested areas, including Prince William Forest Park, Chapman's Forest, and Laurel ridge, as well as other long-distance routes: the National Road, the route of Braddock's march, and the Great Warrior Path between the Great Lakes and the Carolinas. Located within 2 1/2 hours of Washington, D.C., Baltimore, and Pittsburgh, the trail system is accessible to over 7 million people and serves over 200,000 visitors a year. Partnerships between Forest staff and volunteer groups contribute substantially to maintenance of trails. Other partnerships-- with adjacent communities, Allegheny County, and the National Park Service-- promote special events, coordinate common management objectives and continue to develop further a range of compatible recreational opportunties. Green Ridge Overlook. Photo by subgirl/wiki.